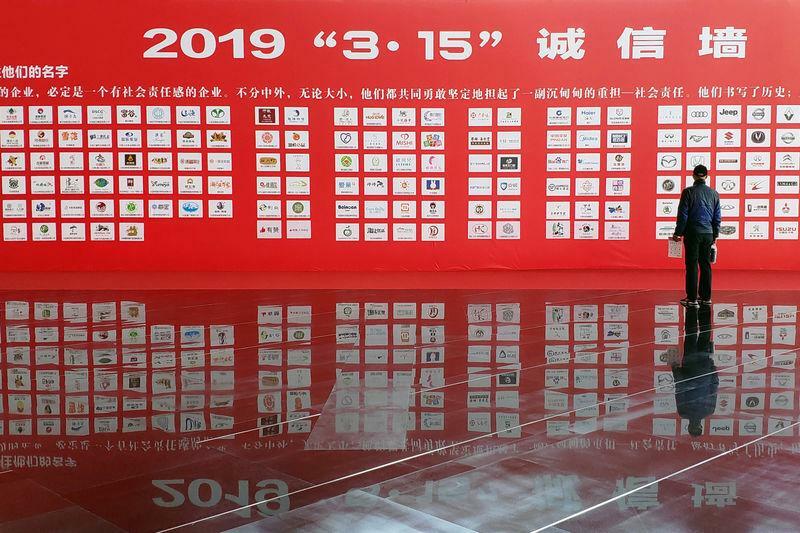 Known as "315", in reference to global consumer rights day on March 15, the show this year did not put any household names under the spotlight. Brands it has skewered in the past include Apple and Nike Inc. Instead, through a series of undercover reports in a format similar to CBS network's "60 Minutes" in the United States, it highlighted issues such as how some Chinese factories were turning medical waste such as plastic syringes into toys and bags, and the health risks from smoking e-cigarettes. It also focused on consumer privacy issues, showing how some firms were using machines to make up to 5,000 nuisance calls a day and accused financial technology firm Samoyed Holding, which filed for a U.S. initial public offering last year, of collecting personal information without consumers' knowledge. Other companies CCTV focused on included ones that it alleged made spicy snacks popular with Chinese children in unsanitary conditions, prompting online retailers such as Alibaba Group's Taobao and JD.com Inc to immediately remove products made by the accused brands. It is unclear whether the show has made an impact on company sales, but past shows have drawn apologies from Volkswagen, whose engine defects in the Touareg SUV it criticised last year, as well as from Apple, whose China after-sales service it scrutinised in 2013. "There's little meaning because they only hammered small fry who don't really offend anyone," said one Weibo user. Beijing has pledged to improve its protection of consumer rights and the country's market regulator on Thursday said it received more than 3.7 million complaints and recovered 3.1 billion yuan in damages for consumers in 2018.